Though still one of the wealthiest of the former Yugoslav republics, Croatia’s economy suffered badly during the 1991-95 war. The country’s output collapsed and Croatia missed the early waves of investment in Central and Eastern Europe that followed the fall of the Berlin Wall. Between 2000 and 2007, however, Croatia’s economic fortunes began to improve with moderate but steady GDP growth between led by a rebound in tourism and credit-driven consumer spending. Inflation over the same period remained tame and the currency, the kuna, stable. Croatia experienced an abrupt slowdown in the economy in 2008 and has yet to recover; economic growth was stagnant or negative in each year since 2009. Difficult problems still remain, including a high unemployment rate, uneven regional development, and a challenging investment climate. 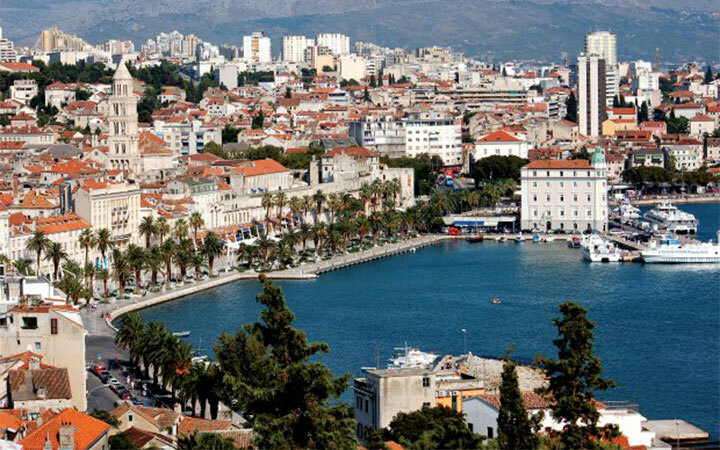 Croatia continues to face reduced foreign investment. Croatia will be a member of the European Exchange Rate Mechanism until it meets the criteria for joining the Economic and Monetary Union and adopts the euro as its currency. EU accession has increased pressure on the government to reduce Croatia’s relatively high public debt, which triggered the EU’s excessive deficit procedure for fiscal consolidation. The state controls a part of the economy, with substantial government expenditure. The European Union is Croatia’s most important trading partner. The Croatian government has invested in infrastructure, especially transport routes and facilities along the Pan-European corridors. Major industries include shipbuilding, construction, petrochemicals, and food processing. Tourism is traditionally a notable source of income, particularly during the summer months. With over 10 million foreign tourists annually, tourism generates revenue in excess of €7 billion. Croatia is ranked among the top 20 most popular tourist destinations in the world, and was voted world’s top tourism destination in 2005 by Lonely Planet. The country joined NATO in April 2009 and the EU in July 2013. The University of Zagreb, founded in 1669, is the oldest continuously operating university in Southeast Europe. The University of Zagred has been listed by the CWUR in 2014.